One prong set round brilliant cut diamond, measuring 9.10 - 9.05 x 6.04mm (depth est. ), 12.00% GTCF approximate weight of 3.56ct. Indications of multiple laboratory enhancements. 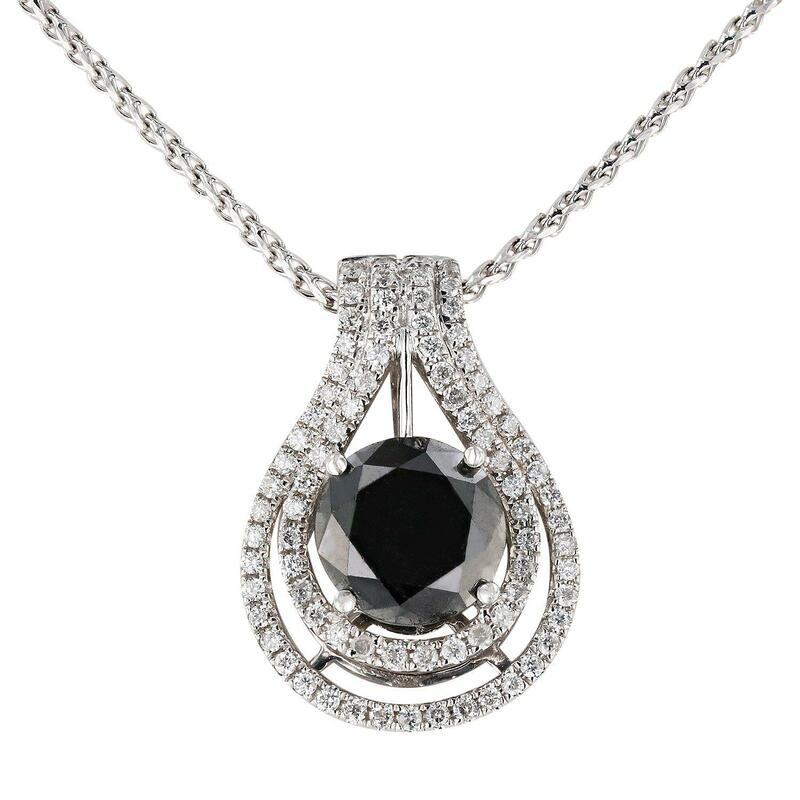 The specific gravity of black diamond is 3.120 to 3.165. Diamond tester results are non-reactive. Graded in the setting. Eighty prong set round brilliant cut diamonds approximate total weight of 80 Stones = 0.52ct. Graded in the setting. Total Weight of Diamonds 4.08ct.